The project BADGES sets out to develop a learning and validation approach for cultural and heritage sites that leads to the award of digital badges to visitors who participate in specific learning activities offered by the sites. The consortium unites heritage sites and public institutions who wish to make additional offers to their visitors, public relation agencies and learning concepts developers specialized in validation of non-formal and informal learning (VINFL). Imagine a youngster or an adult visiting a museum (or a nature park, a historic site…) and watch, listen, act, participate and… learn who, at the end of the visit or, back at home, gets the opportunity to give proof of what he/she learned and is awarded by a digital badge. 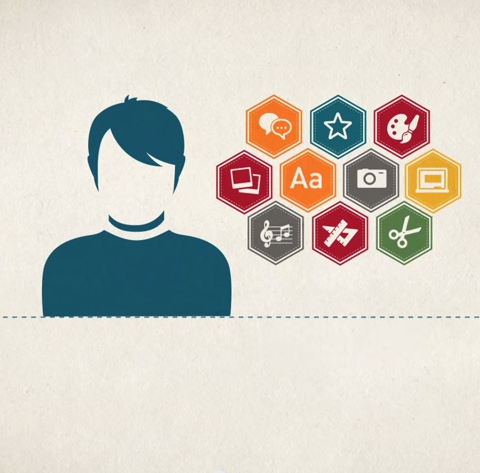 Digital badges are online representations of achievements of various types of learning. In the USA digital badges are created and promoted by e.g. the Mozilla Foundation. The value and ‘weight’ of ‘cultural badges’ however is variable and unstable since, in the present systems, there are hardly any standards set for the organization issuing the badge, for the learning approaches in cultural settings nor for the quolity of the validation processes of this learning. Therefore a European consortium, coordinated by the LondKreis Kossel (DE), hos started an Erasmus+ project: BADGES for quality learning approaches and validation of non-formal learning in culturai/heritaqe contexts. The Badges project wants to install a standardized European validation and award system by issuing electronic badges based on quality learning approaches and validation of non-formal learning in cultural / heritage contexts.